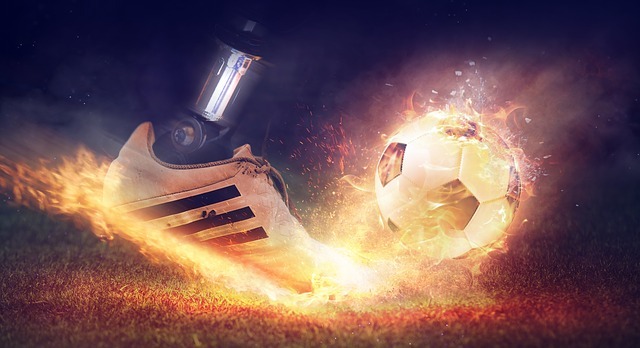 If your Valentine’s Day gift is to a sports fan, consider a present that is not the traditional flowers and chocolates, but something sporty that your Valentine can get passionate about, whether that’s watching their favourite football team or taking part in a sport themselves. Any gift with thought behind it will be appreciated more than a box of chocolates chosen with the weekly shop. Here are some gift ideas to consider. 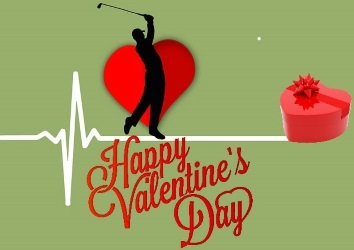 If your sporty Valentine wants to improve their golf handicap, book them a lesson with a golf pro who can help with basic swing techniques or anything related to the game including chipping, bunker play and putting. This can include a short game which allows the professional to give a brief performance analysis using the latest technology to develop all areas of the game. Arrange for the lesson at the local club or choose from a number of excellent golf clubs to make a weekend away out of it. The itinerary can be fitted to suit the golfer, but it’s not suitable for the novice. Most lessons take place between April and October, though there can be some flexibility if the weather conditions are good. Do You Want To Find More Gifts for Your Sweet Golfer? Whatever team or sport, a visit to the hallowed grounds of their favourite soccer or rugby team is one that will swell the heart of every sports fan. Alternatively book to visit a championship venue, like the Olympic Stadium, Wembley or Twickenham. Get a glimpse behind the scenes from the players dressing rooms to the board room, from the directors box to the trophy room. Here you can relive incredible sporting moments, including a walk down the players’ tunnel. Twickenham gives you the chance to walk in the steps of Jonny Wilkinson and Martin Johnson and offers an incredible atmosphere and a wealth of history and stories. If you are seeing your beloved head to the gym with their kit squished into a too small bag, a large training bag made from durable fabric and with a large main compartment may be just what they need. Look for interior pockets and a hard-wearing, water-resistant base and a ventilated shoe compartment so that it can withstand the scrapes and soakings it will likely deal with. A bag with these features can double-up as a travel bag for your romantic weekends away. If you and your Valentine want to keep fit at home, work-out together with an LCD display digital skipping rope which tracks the number of jumps per workout. A tangle free rope that can be easily adjusted and is easy to handle encourages you to do more by beating your personal best either in the number of jumps or the time taken. As seen in the high roller rooms of the best casinos and at some of the biggest card competitions in the world, 24 karat gold-dipped cards are both exquisite in detail and robust enough to handle tournament use. If your Valentine enjoys the occasional game of cards, this makes a thoughtful Valentines gift and will draw the admiration of those he plays cards with. The cards are presented in a cherry-wood case that looks good on display. Merge the real and virtual worlds of football with FIFA 18. The rising star of FIFA 17 Alex Hunter returns and can be fully customised, not just his kit, but his tattoos as well. There’s a game of six chapters to steer Hunter through to become football champion with an entirely new story, original characters and real-world players. The game can be played on the PS4 console with four players. Add a PlayStation Plus membership to access online multi-player so that your Valentine can play the game with up to 22 players. Molton Brown are famous for fine fragrances and indulgent body care products. Their iconic Black Pepper fragrance gift set features black pepper oil with uplifting grapefruit and aromatic cardamom in a cleansing 4-in-1 wash and exfoliating energising body scrub duo, perfect for after a sweaty work-out. For those who understand the chemistry of perfumes, the top note is cardamom, the heart note is jasmine and the base note is cedar-wood. The extract is Sichuan pepper.